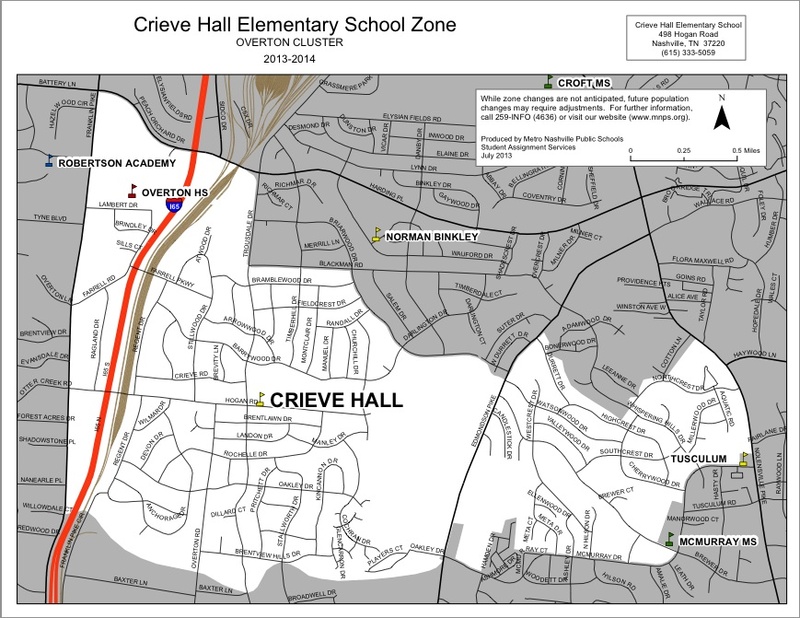 Found in the zip codes 37211 and 37220, Crieve Hall is one of the most popular neighborhoods in Nashville, TN. Over the past few years, the homes here have shown high appreciation rates. 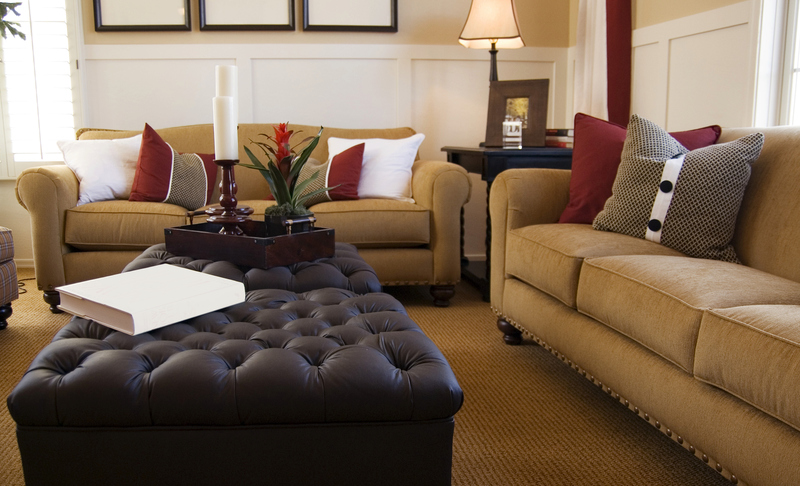 Residents enjoy easy access to I-65 and plenty of convenience to Brentwood and Downtown. This unique neighborhood is found near the Ellington Agriculture Center and offers wonderful curb appeal throughout. Residents enjoy easy access to I-65 making it simple to enjoy all that Nashville has to offer. The Crieve Hall area, is named for the mansion originally bought by steel tycoon Herbert Farrell and his wife, the heiress of the Maxwell House fortune, in 1925. The couple put the home up for sale in the 1940’s but there were no buyers so in the early 1950s, Mrs. Farrell ordered the contents of the house to be sold at auction, and the mansion demolished. The land surrounding the estate was cut up into generous sized lots and sold to housing developers. One parcel was selected for The Crieve Hall Elementary School, which was built on a 17-acre campus in 1954 on a hill directly across from the old mansion. About 2,000 homes are found throughout the Crieve Hall neighborhood. Even though some homes are found outside the neighborhood associations official borders, those residents living in the rolling hills still consider themselves to be a part of Crieve Hall. This classic neighborhood offers a few smaller subdivisions and a little bit of newer construction throughout. However, it’s a well-established neighborhood offering many older homes and a variety of options. 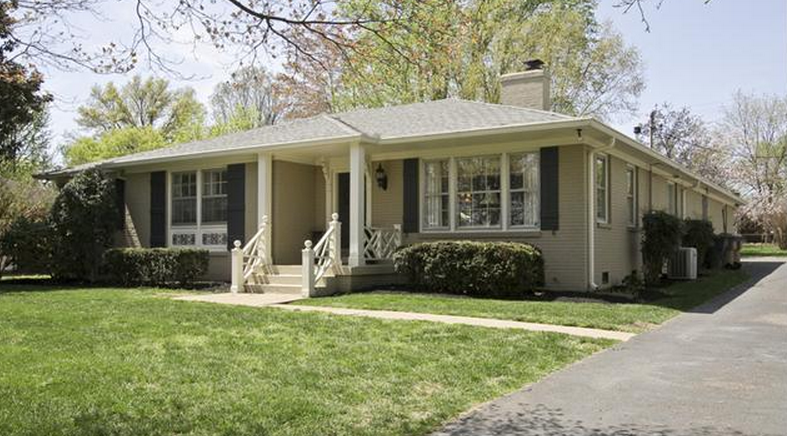 Home found in Crieve Hall range from 1950s-era brick homes to ranch-style homes with larger lots. Most lots are at least one-third acre giving residents large yards to enjoy. Some of the older homes have been renovated, while others are considered to be fix ‘n’ flip type of properties in need of renovations. The many one-story ranch homes found here provide plenty of options for home buyers. Crieve Hall offers a wide variety of prices with more flexibility than the nearby Oak Hills and Green Hills areas. This mainly residential neighborhood is known for being very quiet and quaint. This still rather stately area is dominated by brick ranch houses on larger than usual lots that date to the late 60’s and early 70’s. Crieve Hall is predominantly residential, and the peaceful location is very popular with families. There are great schools in the neighborhood, and the Nashville Zoo is just minutes away. Radnor Lake and Traveller’s Rest Plantation are also close by. With both Downtown Nashville and Brentwood just minutes away, residents have access to plenty of shopping, dining and entertainment. Crieve Hall is also home to many modern amenities such as big box stores, movie theaters and grocery stores. The One Hundred Oaks shopping areas is found just five minutes away with plenty of other great shopping options found less than 15 minutes from Crieve Hall. Radnor State Park is a part of the Crieve Hall areas. This park offers biking, hiking and wildlife observation. Residents can also enjoy a tour of the historic Travellers Rest Plantation and the Tennessee Agriculture Museum. Of course, the Ellington Agriculture Center is also found nearby. This agriculture complex offers 207 total acres and a great place for a walk or jog. Several good dining options are just minutes away from the neighborhood with many found right off I-65. In addition, residents of Crieve Hall are just minutes from the Harpeth Village Shopping Center and the Nashville Zoo at Grasmere. Community events are a monthly occurrence; from yard sales, festivals, Farmin’ in the Hall, volunteer opportunities, Fall in the Hall, and so much more. 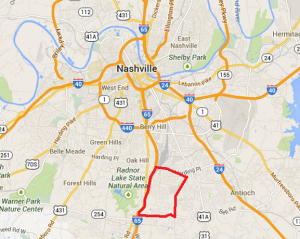 There is easy access to shopping, restaurants, and downtown Nashville. It is less than a ten-minute drive to 100Oaks, Brentwood, and Nipper’s Corner, and the retail and more upscale restaurants. 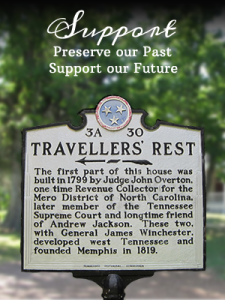 Historic Travelers Rest Plantation and Museum was established 1799 by Judge John Overton. Overton first named the property Golgotha after finding several pre historic skulls when making the home’s cellar. The location was later called Travelers Rest due to the fact, after Overton’s long horse back rides, he would essentially “rest” after his long travels at this particular location. After near demoltion, the home was restored in 1954, and made into a Museum. With beautiful homes, a quiet atmosphere and a quaint feeling, Crieve Hall is one of the most popular neighborhoods to call home in Nashville. It’s found in a location making it easy to enjoy the city and all the surrounding neighborhoods. Living in Crieve Hall means you’ll have access to plenty of things to do, a large amount of homes to choose from and plenty of convenience if you work in Downtown Nashville.